Ah, the endless quest to make sure your business shows up in local search. The landscape is constantly changing and it’s up to you to keep up if you want to optimize your site for Local SEO. 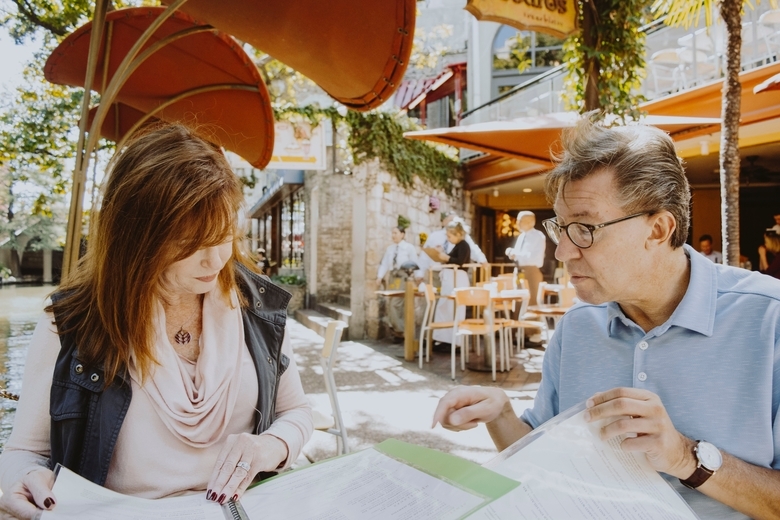 That’s why you should take advantage of any opportunity available to you… and one of those is registering your business on consumer citation sites. In SEO context, a citation is when your brand is mentioned on an online platform. For example, comments on a community forum or blog, or on a review site describing an experience with a company. These mentions increase your brand’s visibility. The search engine crawlers consider these citations beneficial for verifying the legitimacy of a company, and that, in turn, improves your organic SEO. 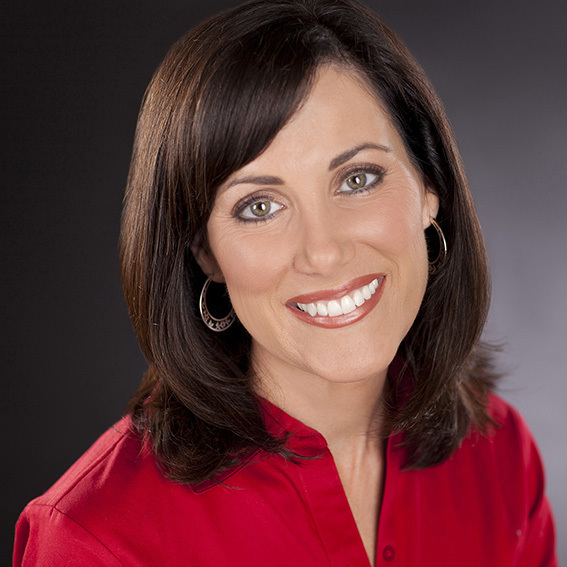 Citations serve a purpose similar to those of reviews and testimonials. 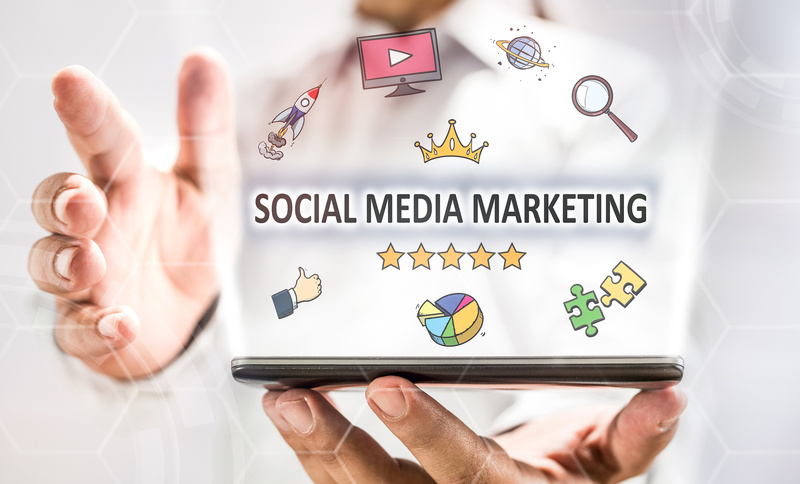 They provide fresh content, promote your brand and get people talking and sharing. These are all considered key factors in improving SEO, especially for local businesses. In a nutshell, citations are online locations where your business is listed. A citation site includes at least the business Name, Address and Phone Number (NAP), which should always be consistent across every citation site. Citation sites are “trustworthy” in the eyes of Google and other search engines, and that improves SEO for those businesses listed. If you do a local search, often the top results are from citation sites. 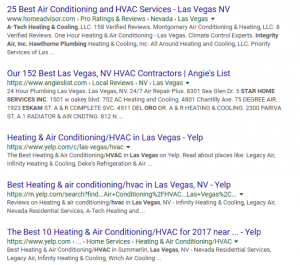 Below is a list of results based on the search “hvac in las vegas”. This list is located below the businesses using paid ads and those in the “top three” for organic SEO. You’ll notice that they are from sites like Yelp, Angie’s List and Homeadvisor, all valid citation and review sources that search engines trust. 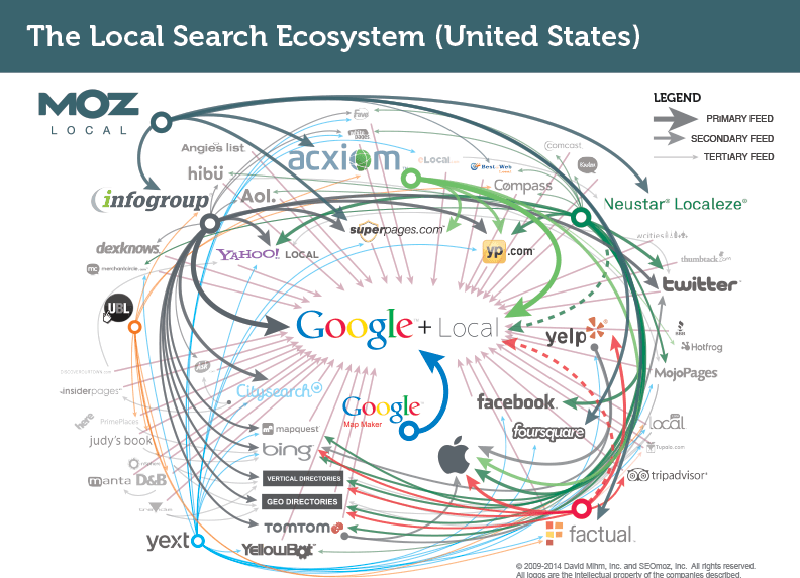 Other citation sites include Google My Business, Foursquare, Merchant Circle, City Search and many more. Most are free to list and claim your business, and Google loves them! The more you join, the more it benefits your business, as long as the site is credible and your information is consistent across them. Just because your business is listed on a citation site doesn’t mean that it’s doing you much good. You must claim the listing and verify that the information listed there is indeed accurate. Google My Business is probably the first citation listing you’ll want to claim and verify. Some sites allow you to add more information than others. Some can include your hours of operation, business description, photos, etc. It’s advisable to include as much information as they allow you to provide. The key information though is the NAP. It must always be the same across listings. Even a small deviation; like using Street instead of Avenue, can do more harm than good. Finding and claiming your listings can be time consuming, but definitely worth the time in increasing your local SEO. 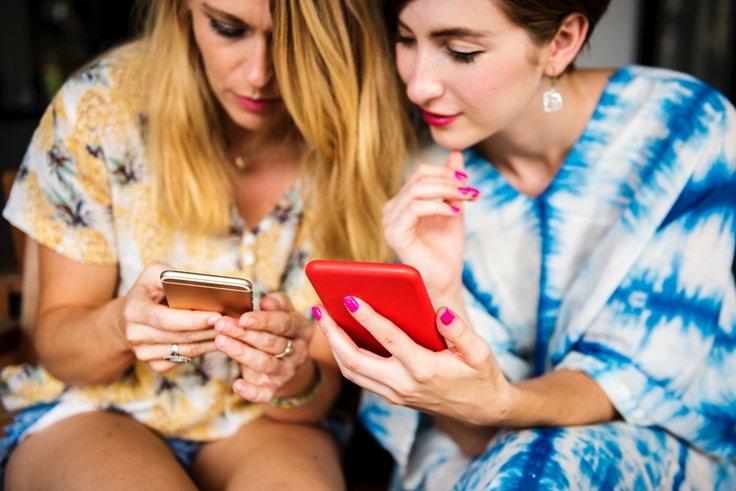 Search engines strive to connect online consumers with the best experience and most useful information. That’s why they consider citations beneficial to brand value. Your SEO strategy should include using any advantage to increase SEO, and citation-building is one of them. By building a solid SEO foundation, with effective keywords and fresh content, citations can be one more method that drives results. Citations will contribute to your overall online presence, just one more factor to allow you to compete in today’s online world of business. Anything that improves the chances of you getting found is worth the effort. 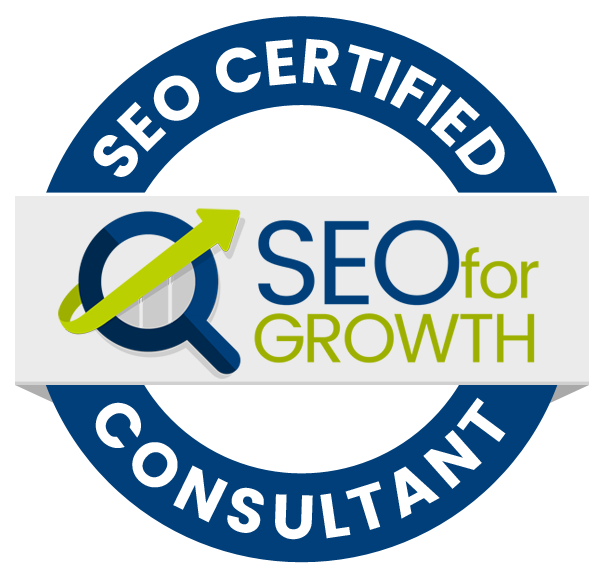 Las Vegas SEO for Growth has the tools and resources to facilitate claiming your business listings and citations. This is not a complicated process… it’s just time consuming. If you need assistance claiming your listings or anything else related to improving your online presence, contact us today.